Five days till Christmas, such a great time to be in the Word. Reading the Christmas story. Taking the time to put yourself in each scene. Thinking about what and how Mary and Joseph and all the others must have thought and felt. The chance to be in the Word and to be able to start my day in prayer seeking the face of God, my family, my health, this new day with new opportunities and second chances, that fact that we have work and that I was able to start the work day yesterday in prayer with my son, that during the day I am able to stay in the Word and worship through online radio. The little things like no equipment problems, the cold bottle of water and new veggie sausage for lunch. Dear Lord God, Abba Father, thank You for today and all Your blessings yesterday. For allowing me those moments when I knew You were with me. O that You would continue to bless me and my, expand our territory for Your will and purpose, keeping us from evil and causing pain. Lord I know You know the challenges we each face. Remind us that You are in control. Help us walk one step at a time holding Your hand. In Jesus name I pray. Glory be to the Father and to the Son and to the Holy Ghost; as it was in the beginning is now and ever shall be, world without end. Amen. 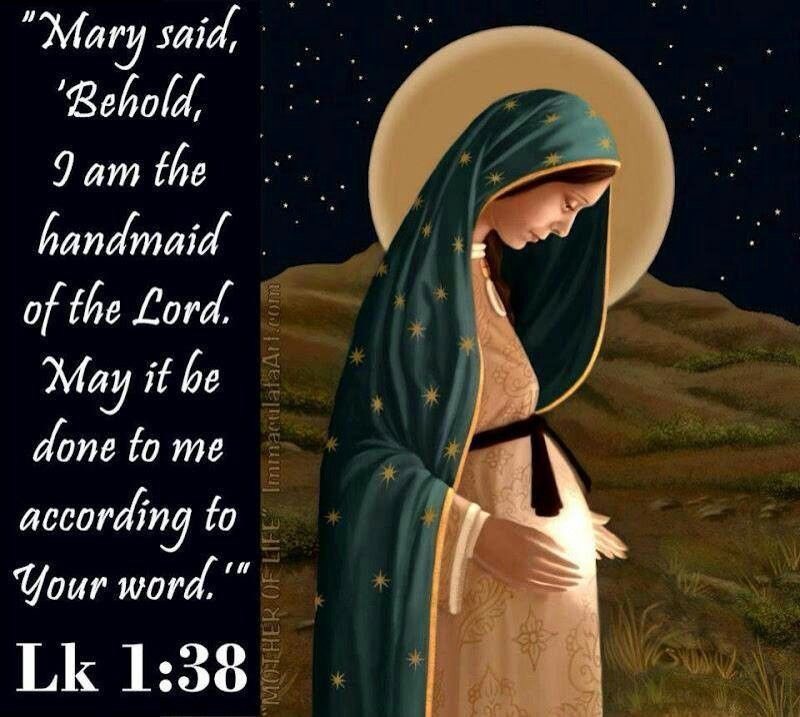 Mary responded, "I am the Lord’s servant. May everything you have said about me come true." And then the angel left her. Stop worrying…and be at peace. Consider the birds of the air. They’re not overcome with worry. At night they sleep peacefully, knowing that their heavenly Father cares for them. Not one of them can fall to earth without their Father’s noticing. God (intimately) knows all of your needs, even before you ask. Seek first His kingdom and all of your needs will be provided for. This entry was posted on December 20, 2018 at 6:18 am and is filed under One Walk. You can follow any responses to this entry through the RSS 2.0 feed. You can leave a response, or trackback from your own site.